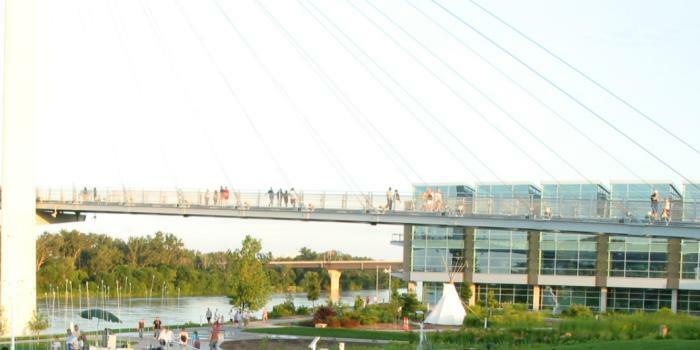 The Bob Kerrey Pedestrian Bridge in Omaha is a very impressive structure — in both its architecture and especially in its quirky new personality. The 3,000 foot curved suspension bridge is one of the first of its kind to connect two states, Nebraska and Iowa. Suspended by two large towers, the bridge dangles more than 50 feet above the Missouri River, providing spectacular views on both sides.